As a follow up to last weeks post, I mentioned that I had added a number of new art prints to my Landscape Watercolor 3 Gallery. I posted a few of them and this week I am posting a few more. The watercolor prints this week are done in different style. Last week, those watercolors were based on more simple abstract drawings. This week the watercolors are done using very detailed, precise drawing and sketching. 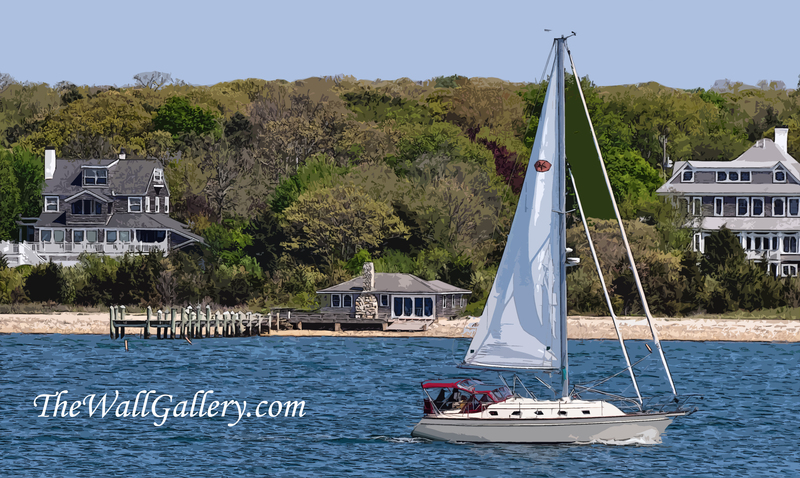 With Sail Boats as a subject matter, notice the complexity of the drawing as it pertains to the masts and the boats in general. Notice the detail not only in the boats, but in the trees and the buildings within the village. The next picture is a different angle within the same harbor…. 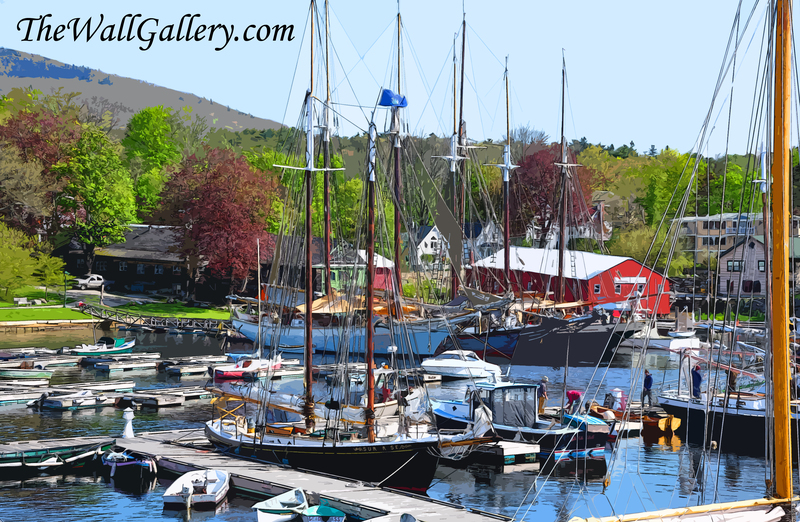 The red maples pull the eye to the shoreline of the village, but the focal point remains the boats….. 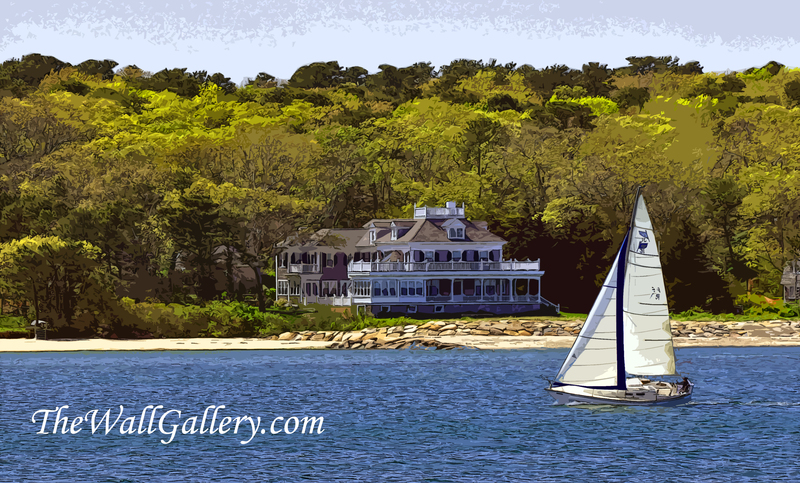 The next print is of a sail boat along the coastal waters of New England…..
Our eye goes to the sail boat initially, then to the very large home on shore. The trees and the water frame the two focal points. Our next print stays with the sailing along the coastal waters….. 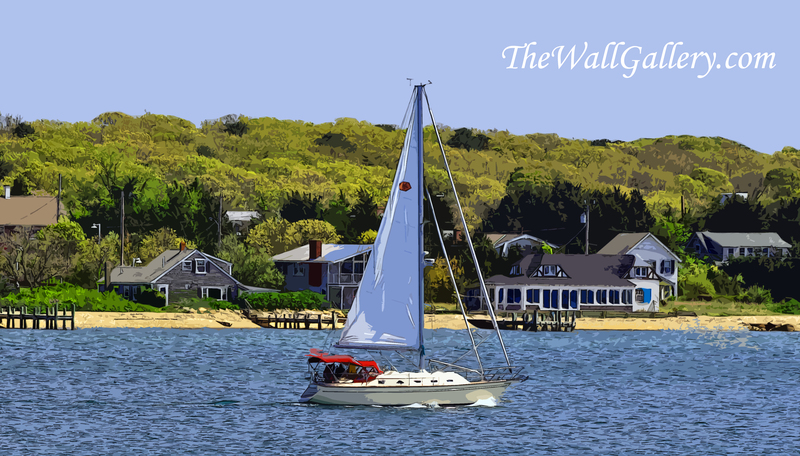 In this print, the homes along the shore become much more of the background than the prior print and the sail boat takes center stage. This next print continues with this same setting…. The use of detailed drawing with these watercolors change the look entirely from last weeks set. The nautical theme is augmented with the distinct detail of the environment. The style of the print and the media used changes the entire look and feel of these pictures. Pictures are meant to enhance a decor and create a look, feel and vibe. That look and feel is yours and there is no right or wrong in my opinion. For these and more prints, please visit my gallery: Landscape Watercolor 3, one of many galleries on my main web site: TheWallGallery. 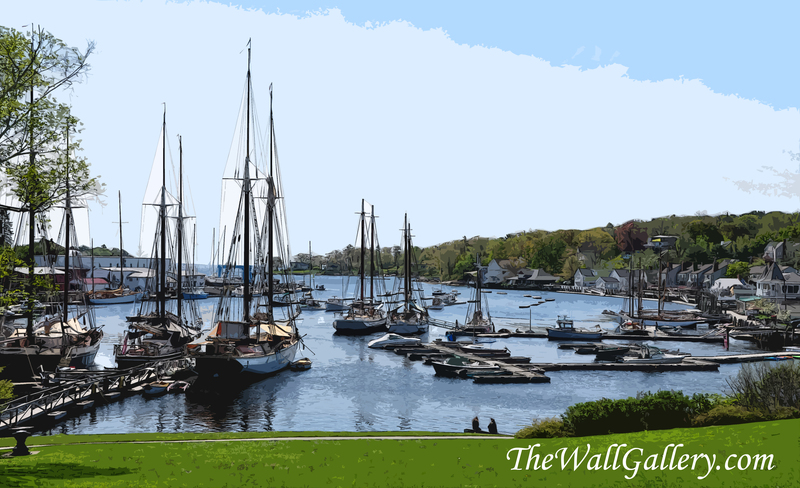 This entry was posted in Art Prints, Landscapes: Watercolor and tagged coastal, new england, new england villages, Photographers, photography, sail boats, sailing, traditional watercolor, watercolor, watercolor art, watercolor landscapes, watercolor sail boats on July 23, 2013 by Kirt D Tisdale. I just updated one of my galleries with a series of watercolor prints. I wanted to share a few of them with you. This particular gallery is a series of watercolor landscapes. 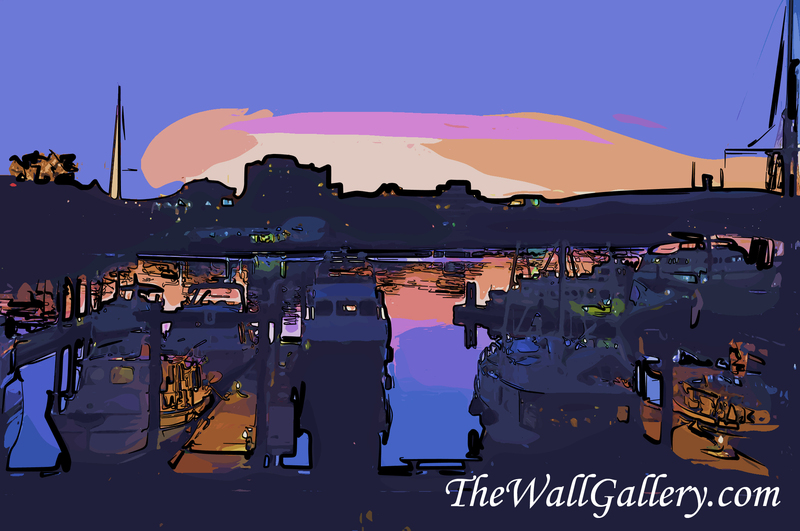 The first picture is of boats in Victoria Harbor, British Columbia at dusk. I drew the scene with simple and almost abstract sketching. 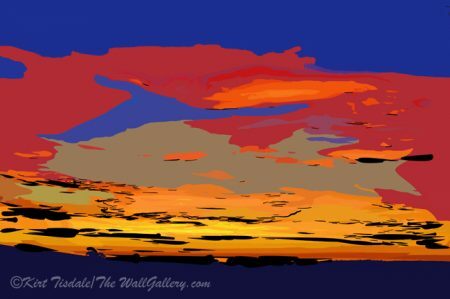 I then used the color hues to create the time of day “dusk”. Notice the lighter colors in the sky and reflected in the harbor. The rest of the hues are darker blues throughout. 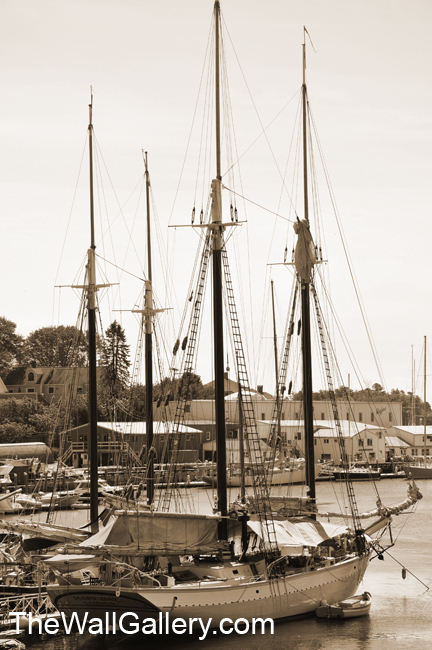 As a special focal point, I enjoy the docks that have “lamps lit” on the two boats in the foreground. The next picture is “Sunrise in the Harbor”. Using Victoria Harbor again, this time a different perspective of the harbor and different lighting creating an early morning look. Same simplified drawing technique, but notice the color hues….lighter and brighter. The blue hues are not as dark and the coloring on the boats is more vivid. The look of early morning is created by the coloring of the sky and the coloring on the boats. The next picture is also from Canadian landscape. It’s called ” Contemplation at the Lake“. 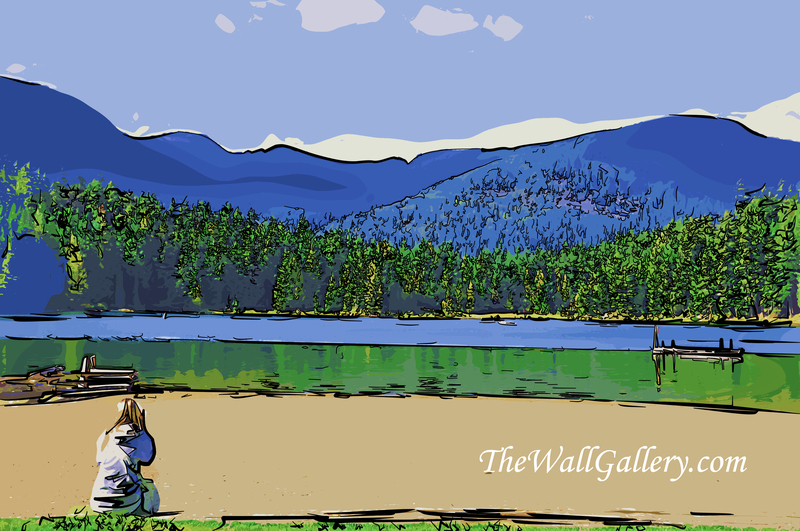 This is a picture of “Hidden Lake” near Whistler, British Columbia. Again, same drawing technique….simple almost abstract…with the story being told by the coloring. 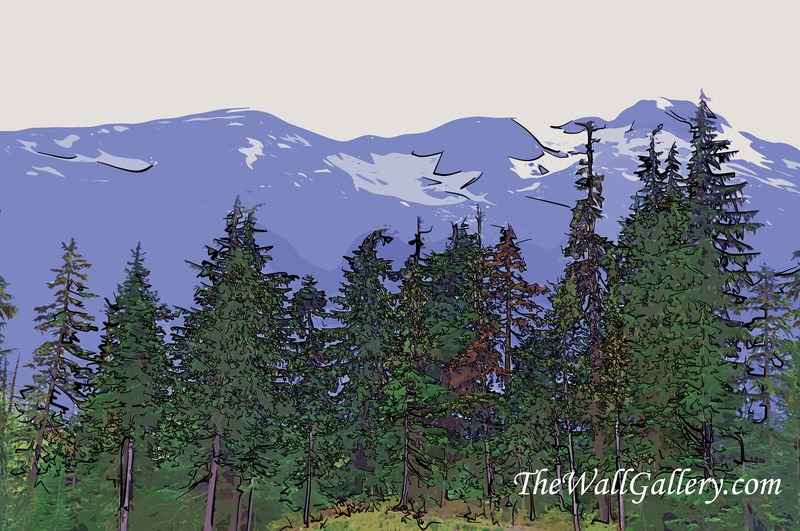 I like using purple, dark blue hues for mountains and love the accent of green with the trees in the foreground. The individual sitting on the shore looks deep in thought creating the name of the picture. Keeping with the mountain theme from this picture, the next one is of more mountains around the Whistler area. Again, I like the purple and blue hues for mountains….this one more purple than the blue. The green trees in the foreground also add that accent look. A little more detail in the drawing on this one in the trees to make them more of a focal point. 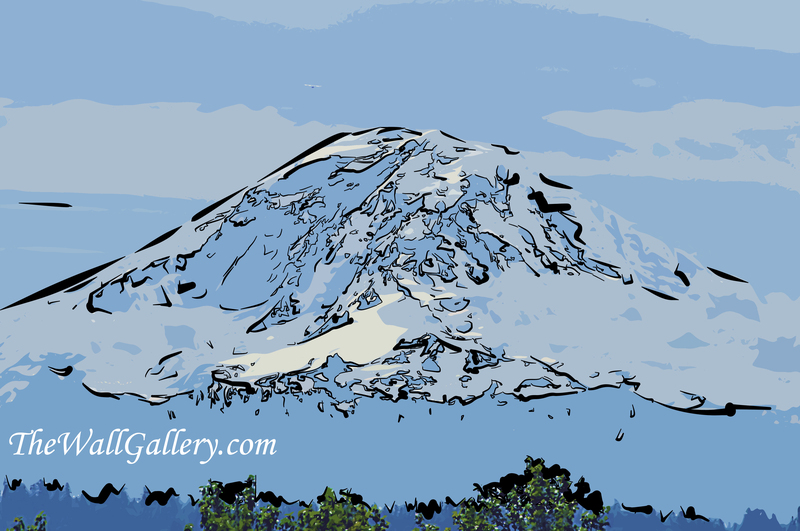 To finish out the samples, I have included a picture of Mt Rainier that I have done. So, south of the Canadian border, this angle is from the Seattle area. Keeping the blue hues throughout keeps the snow capped mountain to a more subtle look. For a little fun, if you look closely just to the left of the peak, you will see a small airplane drawn in. 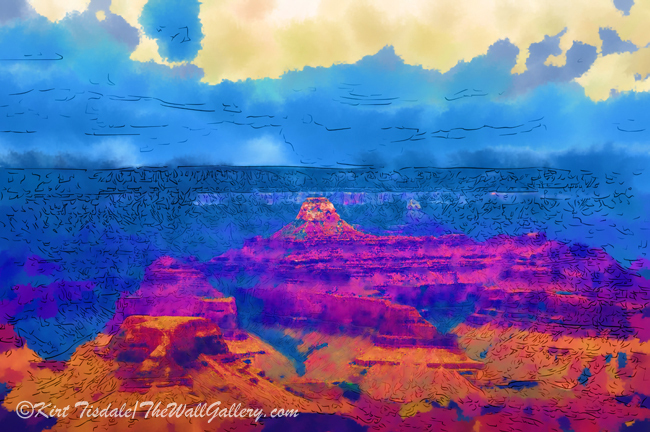 I hope you enjoy and for more of my recently updated art prints, please visit either my main online art gallery (TheWallGallery) or this specific gallery: Landscape Watercolor 3. 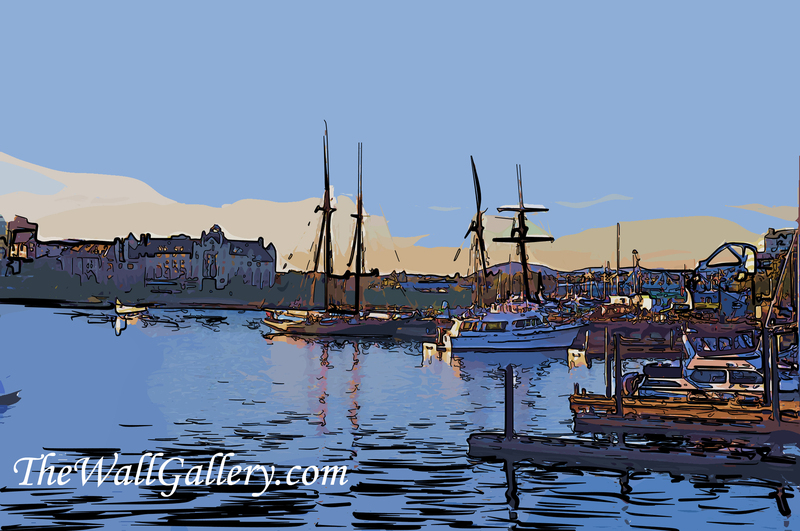 This entry was posted in Art Prints, Landscapes: Watercolor and tagged art, art galleries, art gallery, artist, canada, fishing boats, harbor, independent artist, kirt tisdale, landscape art, landscapes, mountains, outdoors, sail boats, sea, seattle, victoria, washington, watercolor landscapes, whistler on July 19, 2013 by Kirt D Tisdale. This first picture is the original shot…nothing adjusted or changed. The picture really isn’t one of the better ones, but I am using it because the paintings I did from it are actually some of the better final products. 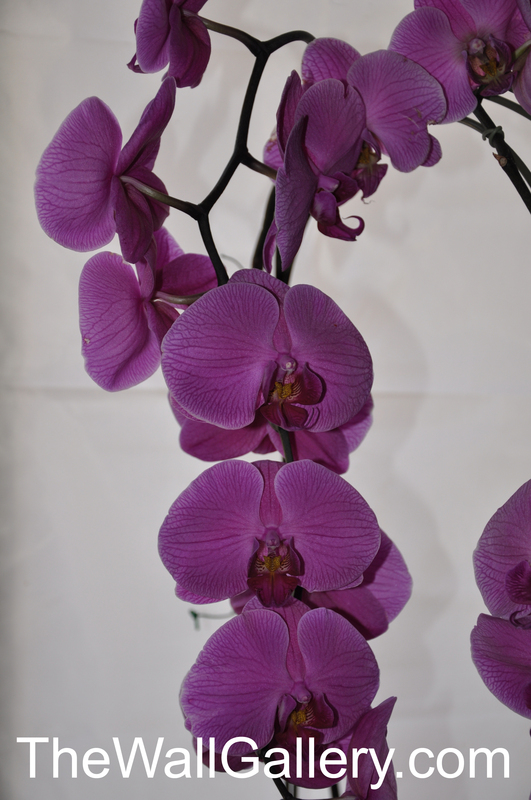 So, we have established that we are working with a purple orchid…quite beautiful and I think you get the feel that this is one of a couple of branches and they are all quite full. So, why would I take a stunning purple orchid and turn it into a Black and White photo? As I have said before….black and white only works if the subject matter has distinct shape and composition, which this plant does. 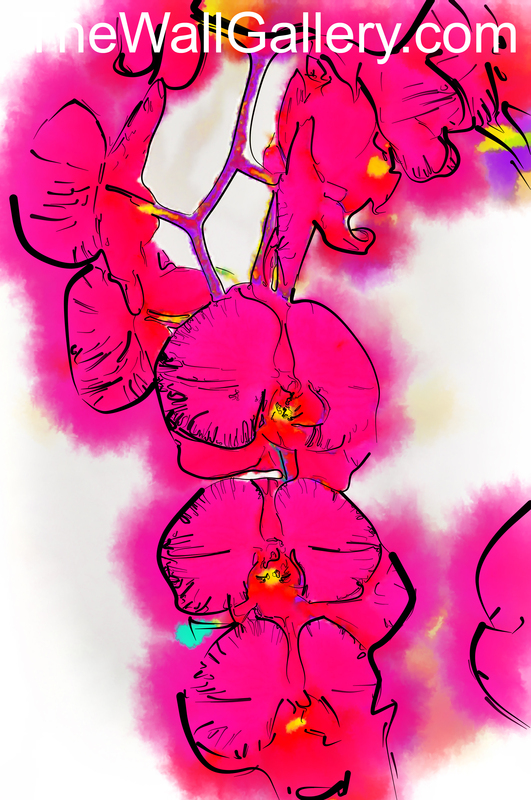 Ok, so this leads to an interesting black and white, but again…let’s go back to the purple orchid….next I did an abstract type drawing and filled it in with watercolor….I even got away from the purple because I liked a little more red in this rendition…. Totally different look! This has an abstract bold look…the strong black drawing creates the shapes and suggestions of the blooms and as I stated, I took the liberty to change the coloring to match what “I” saw in this painting. So this version has all of the detail and I went back to the original color. Both of these watercolors use an abstract approach, but one being much more minimalistic than the other. The look stays abstract, but in a more bold highly textured style. 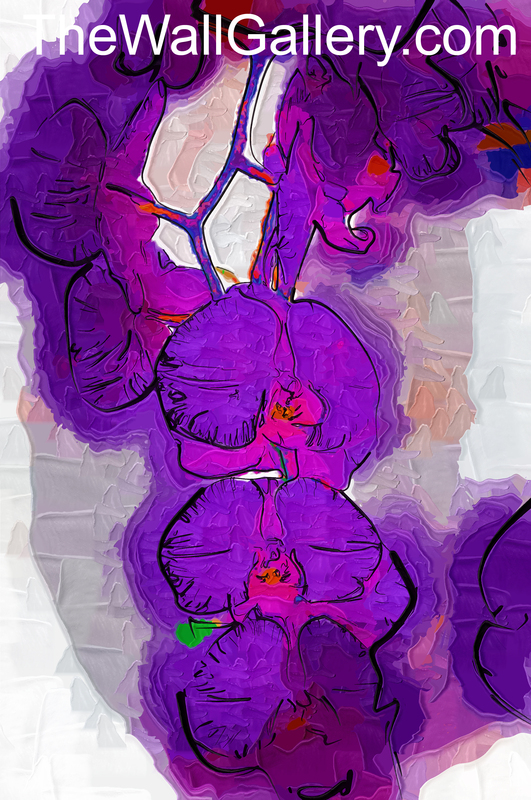 Again for this painting I stayed with the purple as I felt it was the best color for this style. You can see how different the looks are from each other. Each one lends itself to entirely different decors. 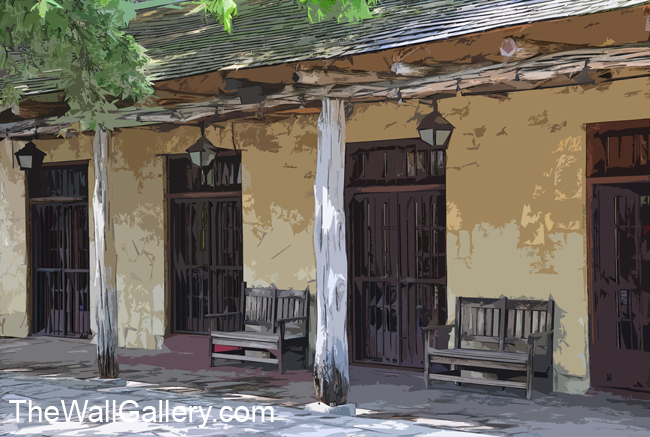 This entry was posted in Art Prints, Landscapes: Oil, Landscapes: Watercolor and tagged abstract art prints, art gallery, art prints, artist, arts, black and white photography, floral, floral art, independent artist, interior design, oil, oil prints, orchids, painted orchids, painting art, photography, purple orchids, watercolor, watercolor art on July 12, 2013 by Kirt D Tisdale. 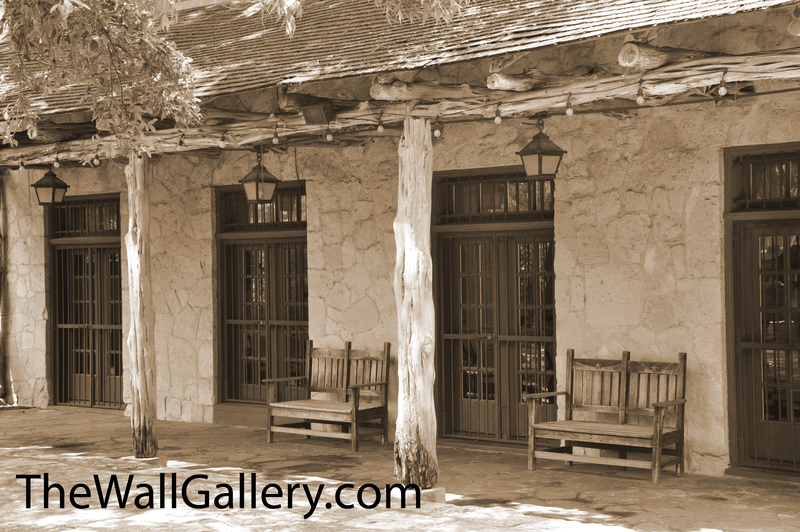 These pictures are from a time gone by in the old Southwest. 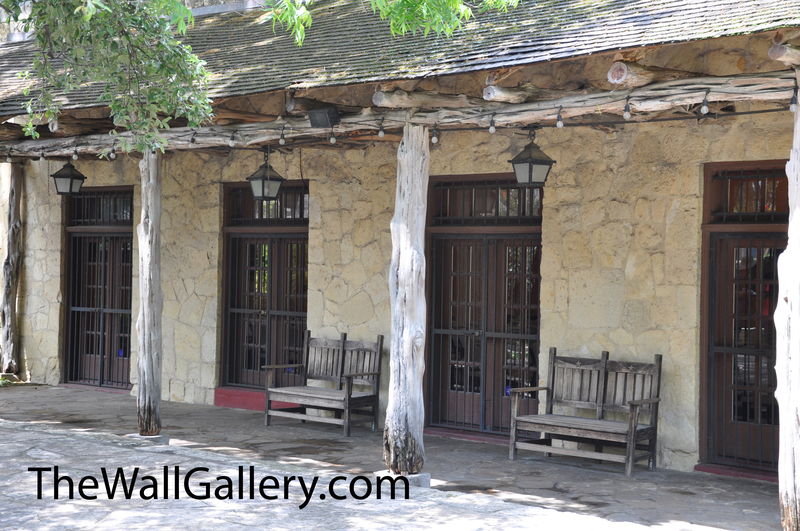 I grabbed this shot literally on the grounds of the Alamo. What I wanted to take a look at today was how the same picture done in different media creates a completely different feel to the same subject matter. 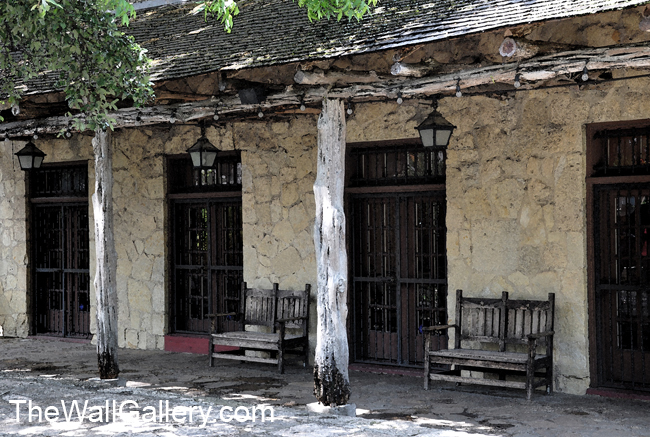 The first picture below is the original shot I took in May on the grounds of the Alamo in San Antonio. 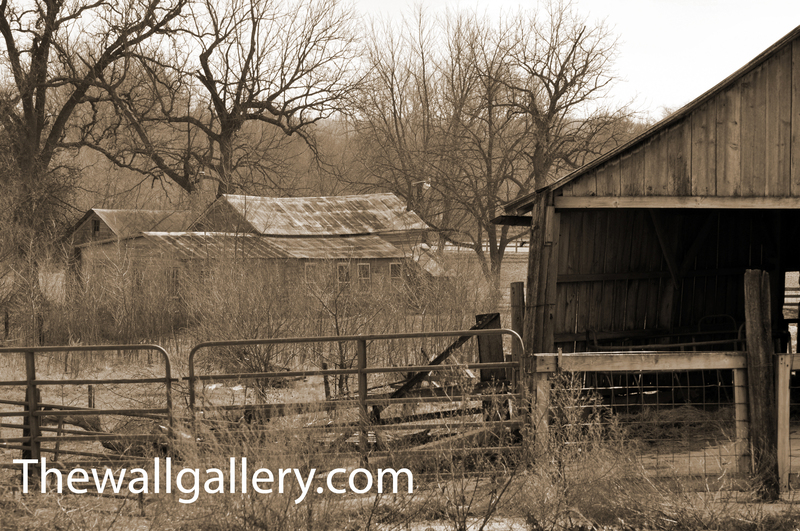 I loved the look and the rustic appeal of this scene. After cropping the shot, I worked with the picture using a variety of media to create different looks for different decors. The picture below is the black and white shot. There are enough strong lines and contrast in this picture to make a black and white interesting. Not every shot holds up in black and white. Nice contrast and this type of looks lends itself to a modern artistic decor. 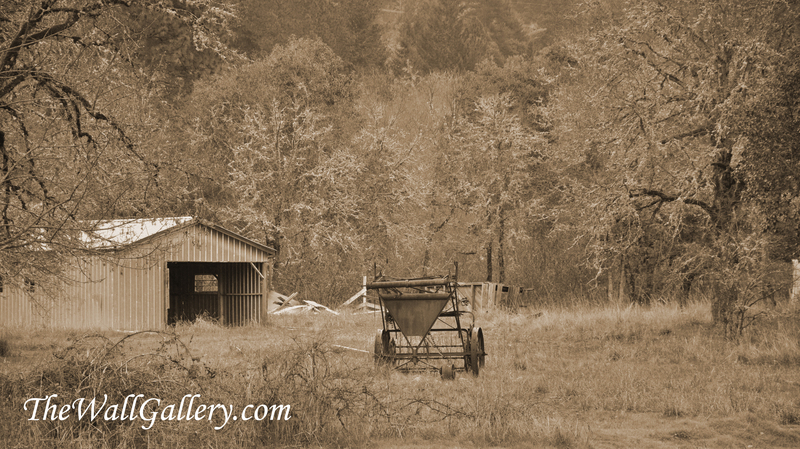 Because the subject matter is “historical, rustic and of days gone by”, I also presented it in a sepia tone. 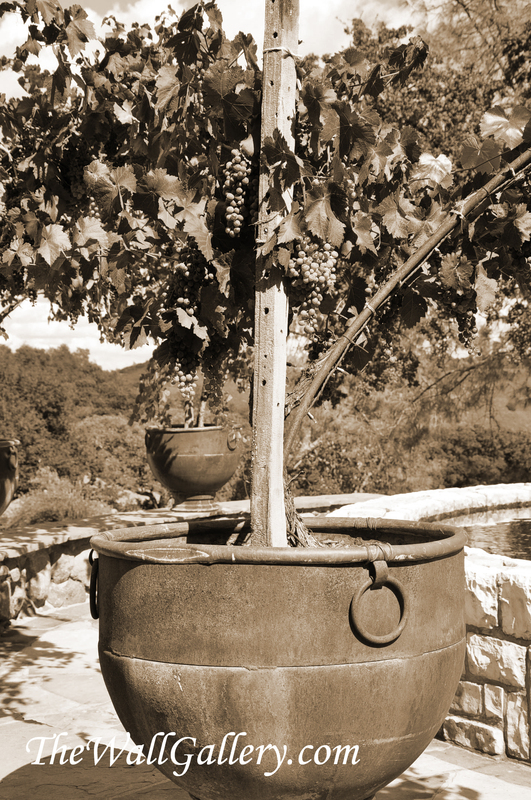 The very nature of the sepia print evokes old images since prints originally used this format. 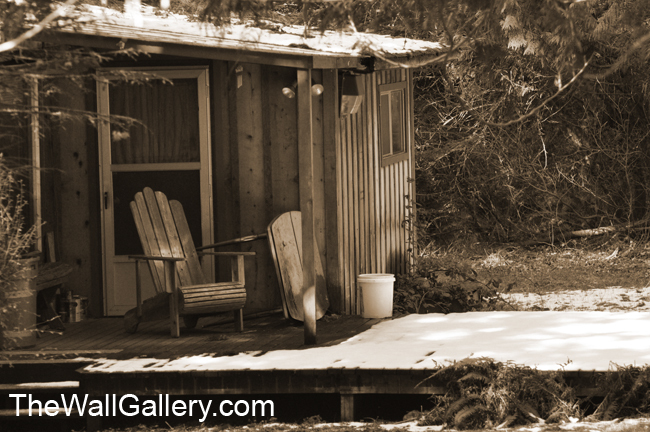 From the Sepia Gallery in Kirt’s main art gallery. 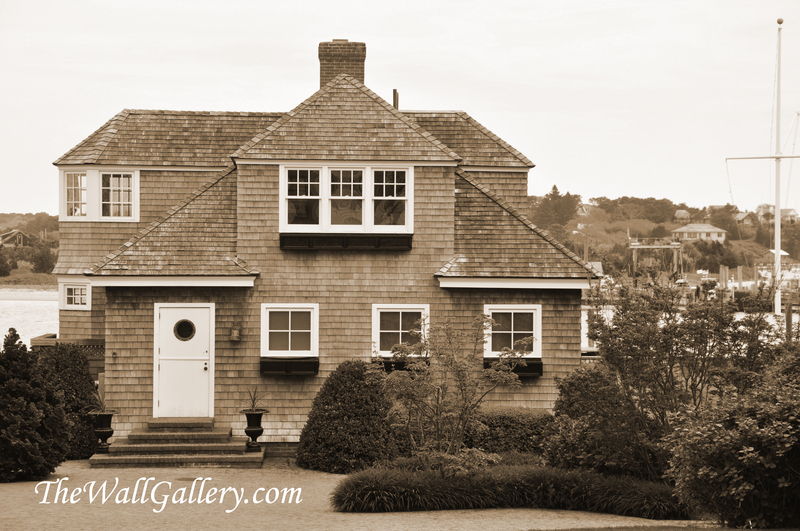 The sepia tones automatically give you a warmer picture, not as bold as the black and white. 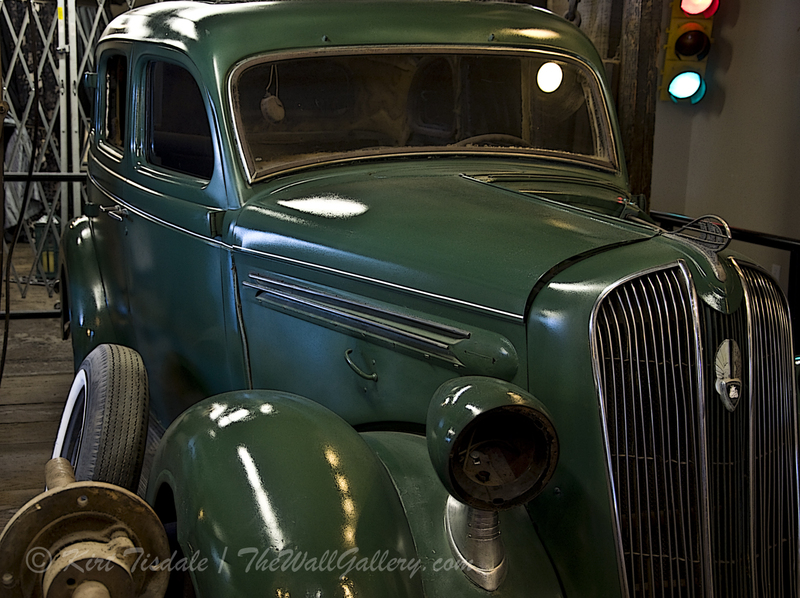 This print would look good in a decor that embraces earth tones and/or uses items that have an old rustic appeal. From the Landscape Architecture Gallery in Kirt’s main art gallery. 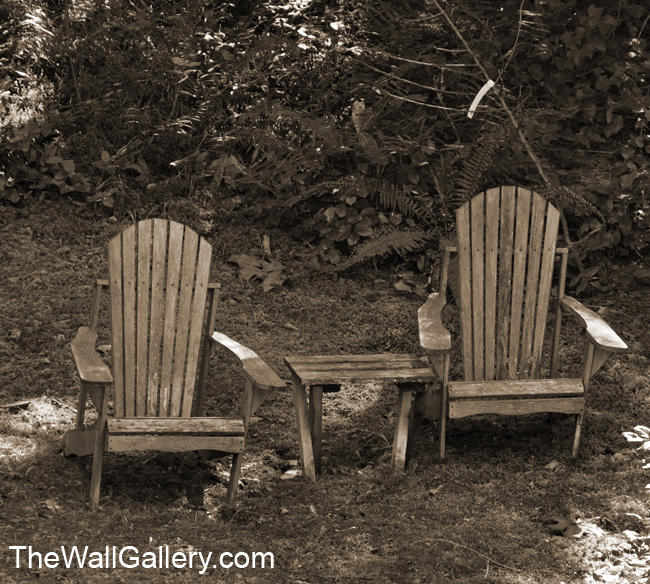 giving you a picture that invites you in to sit and relax. This picture would look great in a casual comfortable decor. The result being a much more bolder contemporary picture. 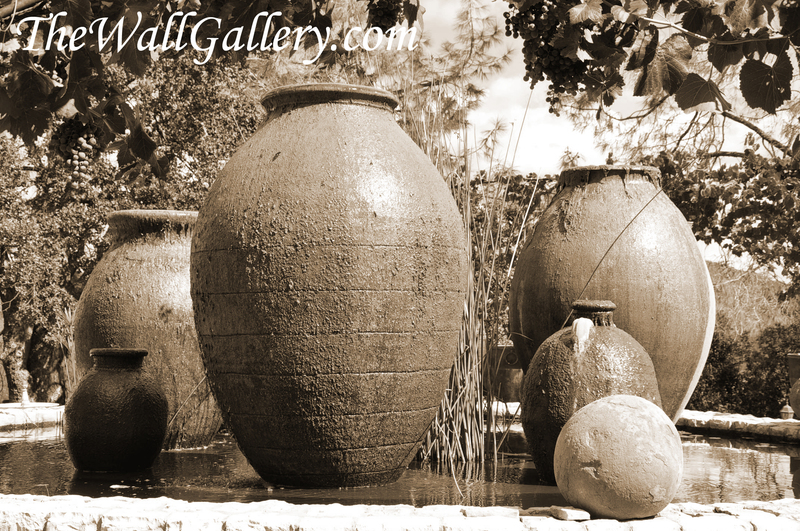 This style would bring an historical subject matter into a modern contemporary decor style. What are your thoughts? Using the same core elements, but presenting them in different styles creates totally different looks. Each of these stands on its own and is the right picture for different decors. 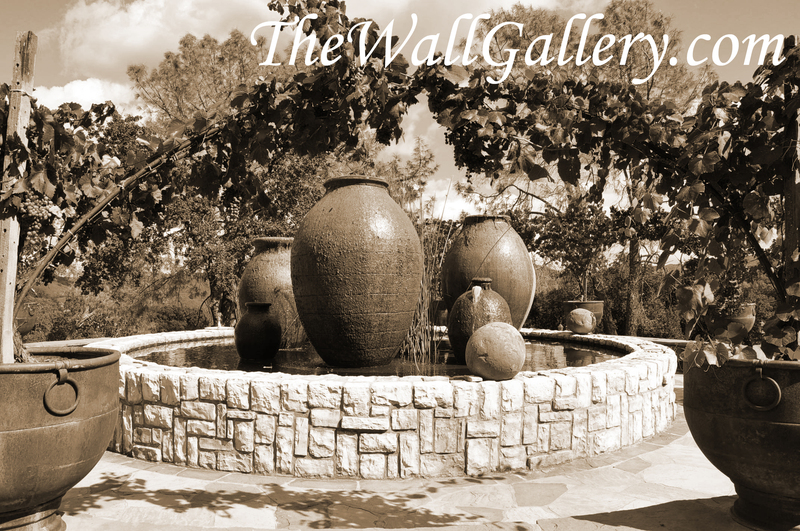 I welcome your feedback and as always invite you to look at my main gallery: TheWallgallery.com. Thanks! 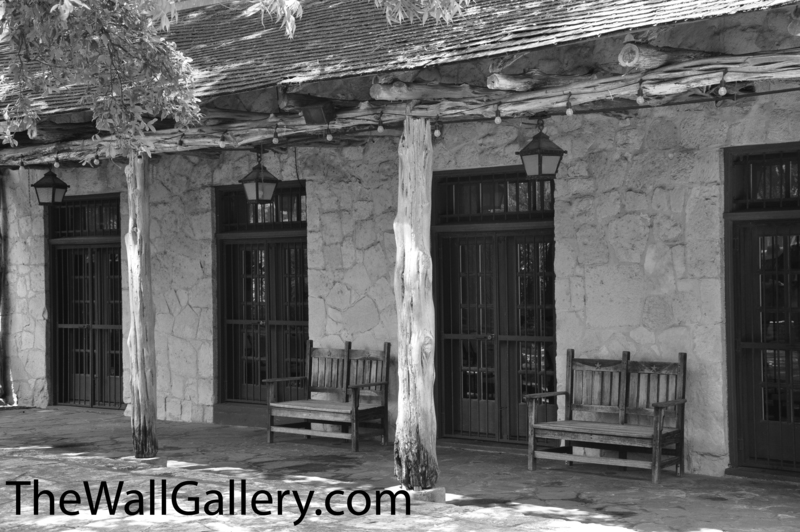 This entry was posted in Art Prints, Landscapes: Watercolor and tagged abstract art prints, alamo, art, art prints, artist, Black & White, black and white photography, Earth tone, hacienda, historic, interior design, Photographers, Photographic print toning, photography, san antonio, sepia prints, sepia tone, Shopping, watercolor on July 2, 2013 by Kirt D Tisdale.